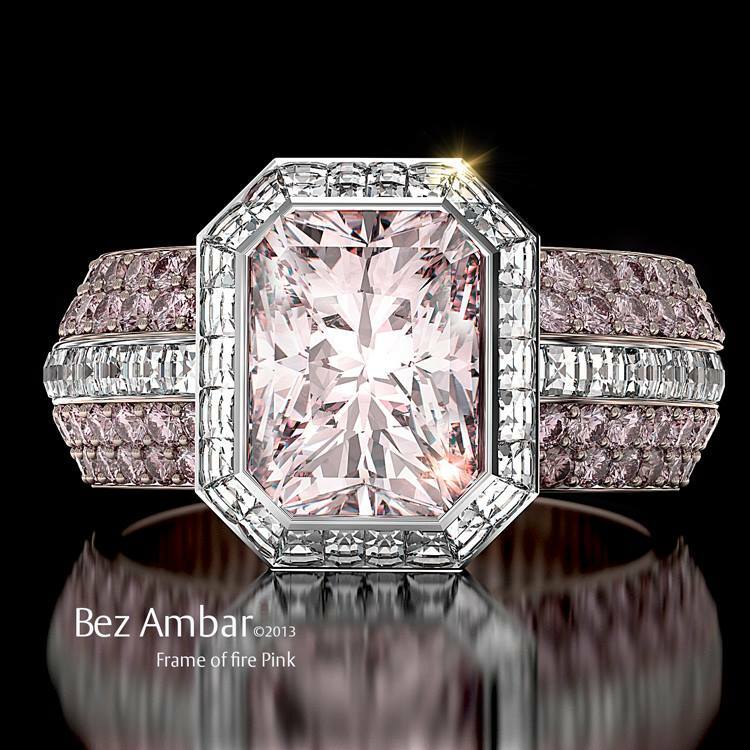 Let Bez Ambar help you reach your engagement ring goals. Bez has designed tens of thousands of unique engagement rings, spanning decades and trends. His designs are at once both innovative and classic, creating priceless heirlooms that will span generations. This ring features oval and Bez’s patented Blaze cut diamonds on the shank, with a round brilliant diamond center stone.